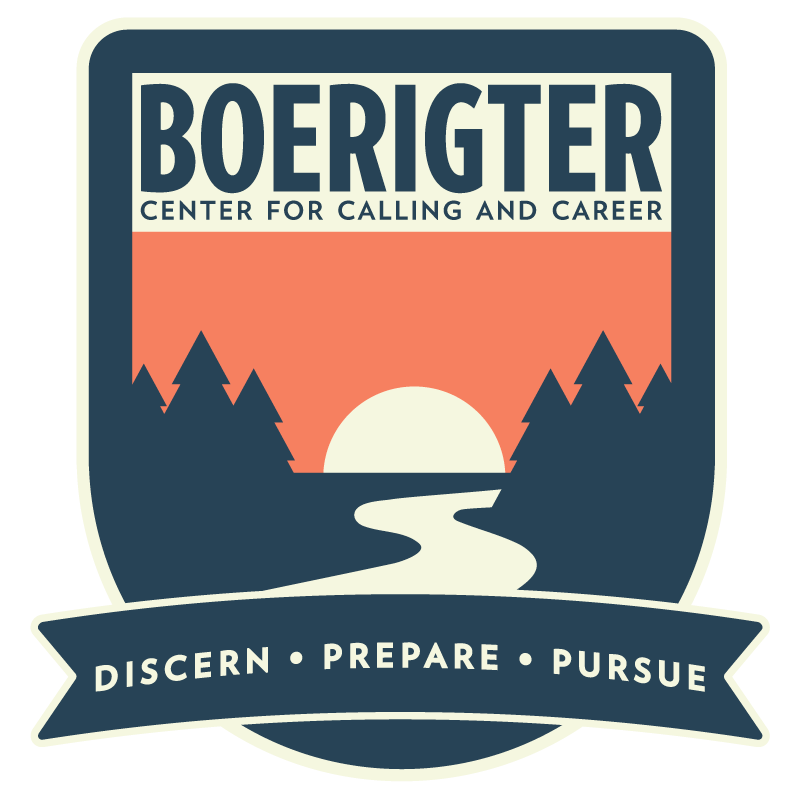 We are…The Boerigter Center for Calling and Career! One of the most challenging things that college students have to do is choose a career path. There are lots of options out there and many feel the pressure to ensure they are making the best choice possible. Which is why choosing a major, and later on securing a job, tends to make many students anxious. Enter…The Boerigter Center for Calling and Career, Hope College’s new and improved hub for all things career! The principal goal of the Boerigter Center is to teach students how to engage in lifelong practices of career development by emphasizing discernment, preparation and pursuit. (Discern) Take steps to discover their strengths, interests, and values to help them find direction. (Prepare) Find internships, alumni connections and other skill building opportunities to explore their path on and off campus. (Pursue) Tap into the Hope network, polish their interviewing skills and take steps toward graduate school or the world of work. Led by Executive Director Shonn Colbrunn ‘94, this new center is made possible by a generous gift from SoundOff Signal in honor of Founder and Chairman George Boerigter ’61 and his wife, Sibilla. We are so excited to be up and running and look forward to meeting with you in our new location in DeWitt which will be completed sometime this fall! Until then stop by Anderson-Werkman or call 616.395.7950 to schedule an appointment today!